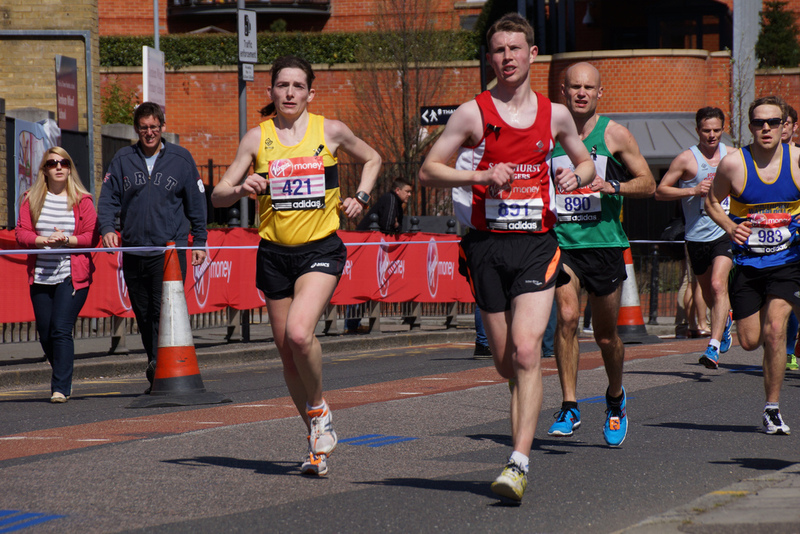 Bracknell Half Marathon is very close to my heart, it was the first running event I participated in 2015. I never knew 5K and 10K races existed then! To confirm my madness, I only ever ran up the bypass between Sandhurst and Bracknell, which was safe minus being blown away in the wind vacuum of Waitrose lorries and run over by irate cyclists whose white line I was running in. After 3 months of ‘training’ my knee decided to give way on my last training run the weekend before the event. Being absolutely gutted and not being able to walk properly that week, I gave it a go; I could always stop if it hurt (how many runners have said that and actually quit?). I completed it, beating my target, my knee held out, just. After 2016’s heatwave, 2017 was refreshingly cool. I obviously can’t hide the cold well; it was remarked how cold I looked, I then took off my jacket. The start at Bracknell has the added obstacle of having a bollard stuck in the road less than 100m from the start, first challenge move to a side rather than getting splattered, no trouble there, this time. ‘The Lexicon Bracknell Half Marathon 2017’ – now sponsored after the new shopping centre which will open 7th September (no need to add it to the SJ events calendar). I think a trick was missed on this as after the first 2 miles I passed through half a dozen subways (get it Subway sponsorship) there must have been 20 on route they are quit difficulty to run, down, turn, up, I haven’t mastered this yet. The first 5 miles are the easiest and take your through Bracknell; through housing estates, industrial estates and along a river. Whoever designed the route did an amazing job; surely it would have been easier run round the ring road! As your come to 6 miles we surface onto the Binfield Road, I had managed to run the first 5 miles in 32 ½ minutes, now the real test the hills. After my Brighton blip, I have been running up the A30 from Sandhurst to Premier Inn in Bagshot, developing my hill running. The day before Amber (daughter) and I drove round Bracknell to review the course and view how steep the hills are, it was like a treasure hunt following arrows and spotting mile markers. I aimed to embrace the challenge in mind and body managing to maintain a 7 minute pace. 1 hour in I had clocked 9 miles so 1:30 became a target. The last 3 miles is where I normally get overtaken by runners including a few SJ’s, this year I held my position (club running is paying off). The final triple subway led us past the Holiday Inn, the final water stop, pints of water (in Holiday Inn branded cups) brand awareness! I blasted the last mile helped by missing .10 of a mile (according to Garmin), and finished in just over 1:28, 3rd best time ever, but probably best run based on the course. A nice lady then handed me a cookie, as she did to all the Sandhurst Joggers, thank you, a very fitting end to a great mornings run.